America began, we are often told, with the Founding Fathers, the men who waged a revolution and created a unique place called the United States. We may acknowledge the early Jamestown and Puritan colonists and mourn the dispossession of Native Americans, but we rarely grapple with the complexity of the nation’s pre-revolutionary past. 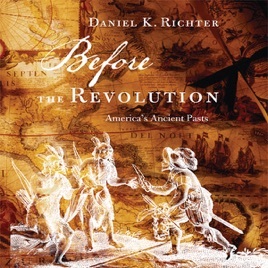 In this pathbreaking revision, Daniel Richter shows that the United States has a much deeper history than is apparent - that far from beginning with a clean slate, it is a nation with multiple pasts that stretch back as far as the Middle Ages, pasts whose legacies continue to shape the present. Exploring a vast range of original sources, Before the Revolution spans more than seven centuries and ranges across North America, Europe, and Africa. Richter recovers the lives of a stunning array of peoples - Indians, Spaniards, French, Dutch, Africans, English - as they struggled with one another and with their own people for control of land and resources. Their struggles occurred in a global context and built upon the remains of what came before. Gradually and unpredictably, distinctive patterns of North American culture took shape on a continent where no one yet imagined there would be nations called the United States, Canada, or Mexico. By seeing these trajectories on their own dynamic terms, rather than merely as a prelude to independence, Richter’s epic vision reveals the deepest origins of American history. it's a taliban view of the world.